Not very much related to fashion, but when you discover a little piece of heaven you share. 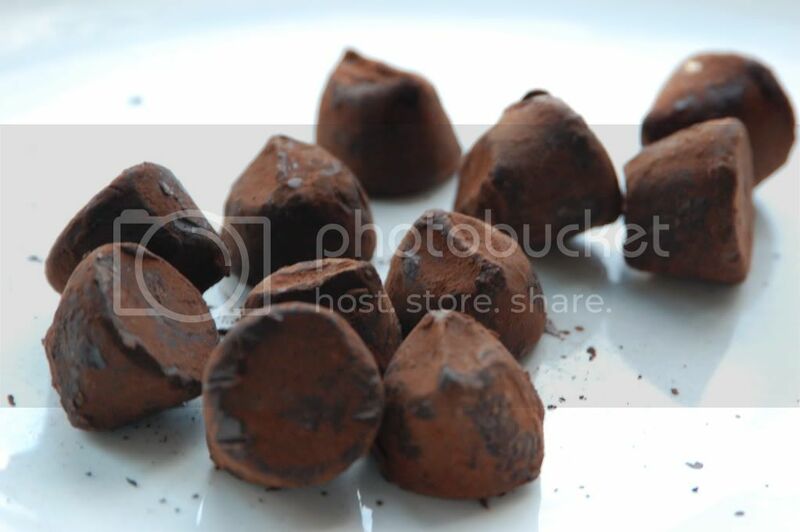 I got these dark chocolate chili truffles from a friend. Yes, I said dark chocolate with chili. Truffles. Which for me means all the best stuff in the worl into one thing. I had already tasted dark chocolate with chili, and loved it. But these, omg..they are the best things I have ever tasted!! They are from La Praline, and evreyone who wants to just fall of into a lovely dream for a few seconds must try them. Ps. I should have photographed them when there still were many, would have looked a lot cooler, but..they disapeared.